Phoenix, Arizona to/from Phoenix Sky Harbor International Airport (PHX). Great Flat Rates! More often than not, our town car flat rate fares to and from Phoenix and the Phoenix Airport (PHX) are less than taxis charge for the same service. So, why travel in a taxi when you can travel to the airport in style and comfort in any one of our luxury vehicles. >> VIEW OUR RATES. A Luxurious Vehicle Fleet. Whether you are a single executive, traveling couple or a large group, Roadrunner has the right vehicle for you. Depending on the amount of passengers, Roadrunner Limousine’s fleet includes town cars, limousines, SUV’s, passenger vans and even 30+ passenger coaches. All our vehicles are clean, comfortable, private late model luxury vehicles equipped with GPS Navigation systems. So, why take a bumpy taxi when a luxury vehicle is available at Roadrunner Limousine? 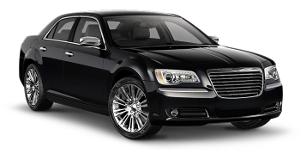 Roadrunner Limousine in Phoenix AZ provides exceptional service for its executive clients. Our executive guests expect reliable, convenient and comfortable transportation to or from the Phoenix Sky Harbor International Airport. As important as it is to provide our executive passenger with optimum service, working effectively with their executive assistants and travel coordinators makes everyone’s job easier. For them, we have a state-of-the-art online booking and account monitoring system accompanied by a highly trained staff to help develop and execute the most sophisticated travel plans that any busy executive or corporate group might need. First Time Coming to Phoenix, Arizona – Did You Know? Phoenix covers more than 519 square miles and has a population of over 1.4 million, ranking it the sixth largest city in the country and the largest capital city in terms of population. Phoenix is a premier destination, with more than 300 sun-filled days a year and average temperature of 74.2 degrees. With a median age of 31.9 (2008), greater Phoenix is the fifth youngest metro region in the country with a diverse, well-educated labor force of over 2 million people. Greater Phoenix has consistently outpaced the U.S. population growth over the last 18 years. Projections show the region is expected to grow by nearly 60 percent by 2030, bringing the population to more than 6 million people. The primary employment sectors sectors and their share of total employment in the Phoenix metropolitan area consist of service industry (43%); trade (18%); government (14%); construction (5%); financial activities (8%); and manufacturing (6%). Major employers of the Phoenix metropolitan area include the state of Arizona, Wal-Mart Stores, Inc., Banner Health Systems, city of Phoenix, Wells Fargo and Company, Apollo Group, Inc., Maricopa County, Arizona State University, Bank of America, Intel Corporation, JP Morgan Chase and US Airways Group, Inc. Greater Phoenix is a $181 billion marketplace that serves as a hub for innovation and entrepreneurs by providing international access for aerospace, high-technology, bioscience, advanced business services and sustainable technologies companies. Global companies such as Honeywell Aerospace, Freeport McMoran, Avnet, and Republic Services call Phoenix home, while companies such as American Express, USAA, SUMCO Phoenix Corporation, Charles Schwab, and Mayo Clinic have major operations here. In January 2000, after a yearlong, in-depth study of management efficiency by the Maxwell School of Citizenship and Public Affairs at Syracuse University, Phoenix was the only city among the nation’s 35 largest urban centers to earn an overall grade of “A.” Phoenix also was named the “Best Run City in the World” in 1993 by the Carl Bertelsmann Foundation and has earned numerous other awards for efficient government operations.